I was thinking the other day, whilst driving the boat. In itself, achieving cognitive thought other than “Arrrrrrrgh. 50TWA, 110COG Arrrrrgh!! !” at the helm is a true milestone in my 'learning to sail' progress, I feel. People we meet on land are always very keen to understand the “why” of our adventure. What made us choose to willingly participate in what most sane humans regard as the seventh degree of hell (auto-correct just changed that to 'heel', clever auto-correct), never mind handing over actual money to do so. If you have ever asked this question of Clipper Race folk and feel like you received a valid answer, I'm sorry to tell you, it's a lie. I can hand on heart admit that none of us really have any idea what we are doing here, other than “it seemed like a good idea at the time”. Every now and then, I'll take time away from thinking about what to snack on next to ask myself the exact same question. I haven't a solid answer beyond wanting to learning something new - that's today's answer - but happily, I'm yet to ever regret making the decision to sign up (so far!). One of the things that I have been most blown away by in this experience, is the amazing women I have met and formed fantastic friendships with already. Those that know me will attest that I am the least girliest of girls and have many more men friends, but this has been turned on its head by a group of ladies so smart and sassy, with cojones of steel and the hugest of hearts – I feel I have learned just as much about life from them as I have about sailing from my awesome skipper. These are the faces that I look for in port, that I turn to when I need a hug (yes, people that know me – true story) or to share a bottle of wine with (more likely than hugging tbh)! I love that we are spread across the fleet and enjoy the competitive banter that comes after we have established that everyone is safe, well and happy. Charlie Garratt: (Dare To Lead) - This journey started on Day 1 of Level 1 training, when like a lamb to the slaughter, I showed up to Day 1 of training. As if the barrage of new words, different words (a rope is never a rope, but could be a line, sheet or halyard, obviously), the dawning realisation of what life living on a boat would actually be like, being surrounded by a bunch of strangers and suddenly being absolutely and utterly clueless wasn't enough, it was compounded by Storm Katie battering the South Coast and confining us to port. The only thing that got me on to Day 2 of training was the huge smile and kind words of Charlie. She would patiently sit with me while I loaded a winch, or tried to tie a knot until I got it right. Although much younger than me, Charlie has a calmness and presence about her that belie her age. Working for the coastguard at the time (sorry coastguard, I helped convince her to quit to become an international ocean racer – you can have her back when we have finished with her. Maybe. ), she also worked with disadvantaged kids to take them sailing with the Rhona project. All this made her perfectly qualified to help a clueless middle-aged woman make it through week one and she has continued to be my go-to girl whenever I get a confidence wobble. I can honestly say that I wouldn't be here without her support. Simone Talfourd aka Badger: (Garmin) - If I ever wanted a sister, this is the lass I would choose – my boat buddy, my partner in crime (and grime) and sister slave in the galley – she has energy that is infectious and is always ready to laugh – especially in the face of adversity. We sit on the rail in the pouring rain when the boat is tipped over and the men are cowering fearfully below and eat custard creams and talk about boys. We are on our way to making a formidable team as winch wenches and on a good day, our pit performance is like a beautifully choreographed ballet (ok, well the last bit might be a slight overstatement, but it's definitely an ambition we have). My biggest worry right now is losing her back to reality as she is currently only signed up until the end of Leg 4 – please someone with a heart (or at least a big fat wallet) set up a fund for my “Keep Badger Sailing” campaign, I'm not sure how I'll make it to the end of the race without her. 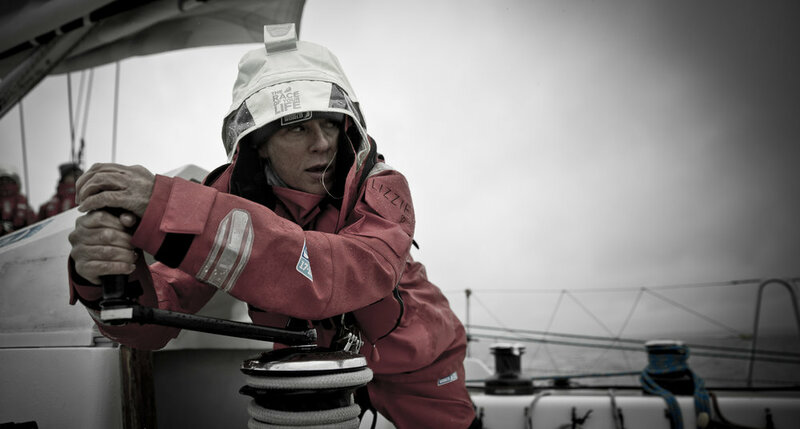 Ineke Van Der Weijden: (Nasdaq) - When I received an email from the Clipper Race last March inviting me to attend Coxswain training, I replied pointing out that as an absolute sailing novice, they had clearly sent the email to the wrong person. After being heartily assured that coxswain-ability wasn't all about sailing experience, I signed up – after all, you can never have too much training and I thought I could do with all the help I could get. There then ensued a week of 14-hour days in the classroom that was 100% and then some about sailing and included huge leaps of mental acrobatics such as charted navigations and secondary port calculations, that for someone that hadn't been in a classroom for over 30 years was somewhat challenging. I swear that my brain was bleeding out through my ears at times. Ineke saved my sanity that week with her relaxed confidence and quick wit. She trumped the exams and impressed the tutor beyond words (anyone that knows Cloughy, will know that that's no mean feat). I sat near her and hoped that some of the heroine halo would shine on me and I think it may have as I managed to scrape a pass. She has an outlook on life that I can only describe as world-wise, having worked in new business development in Botswana and beyond, she can always be relied on to give you a balanced opinion and isn't shy to let you know when you are being myopic about a situation (or just plain stupid). Sadly, we have lost Ineke briefly for this leg as she has returned home for a family bereavement, but I am very much looking forward to seeing her again when we reach Fremantle. Lou Taylor: (Dare To Lead) - I first met Lou at Team Coordinator (TC) training and she has quickly become one of my favourite people on the planet. She set up the TC Support Group on WhatsApp, which sounds like group therapy and quite possibly usually is. She is someone that has so much kindness about her that just hanging out with her makes me feel like a better person. She will always make time to lend an ear (or an arm to help you get home from the pub – I was just very tired, not drunk. Probably). She is convinced that she is only racing until the end of Leg 4, but I refuse to believe her or let that happen... I feel this 'favourite people fund' I need may be growing by the minute. 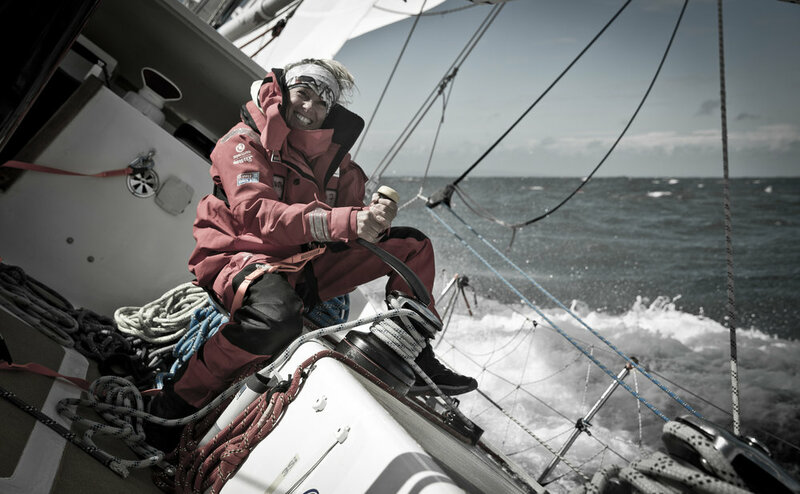 Nell Wyatt: (Garmin) – Also thankfully at hand day to day on board for gossip and giggles. Helm fiend and Medic extraordinaire, best known for her hilarious diagnosis of a (male) princess onboard as having “lack of moral fortitude” and handing out liberal prescriptions of “man up”. Beyond the banter, Nell has a heart of gold, outstanding stamina and is always the first to step up and get stuck in when something needs doing. She got me through my 'poorly in Punta del Este' episode with aplomb as I am probably the world's worst patient – for that and every other secret kindness she shows me (we don't tend to do public displays of 'nice'), I am eternally grateful. Shannon Dean: (Visit Seattle) – A firm friend since our Level 2 training, Shannon has a huge heart and bags of ambition to help the world. After recently requalifying as a nurse, she signed up to come all the way around the word with us. We spent many evenings whilst she was passing through London, sharing our hopes and fears for the race over many glasses of wine. She feels deeply and continues to give me a different perspective on how the challenges of the race affect people in different ways. She has a strength beyond the physical and knows how to dig deep and keep going when things get tough. April Rellis: (HotelPlanner.com) - Another fellow Team Coordinator, my lasting memory of April was when she stated that being a primary school teacher made her eminently qualified for the role. She is dead right. She is hilarious, with a humour so dry and anecdotes at the ready to keep the laughter flowing along with the wine. Sarah Hoare: (Race Office and anywhere that you need her) – Anyone that has spent 5 minutes in the Clipper Race circle, will know that the role of Race Manager is a formidable task. As a TC I have quite a lot of contact with Sarah in ports and can honestly say that she is extraordinary in the way that she handles any challenge that presents itself. Without doubt, some of the stupidity-situations I have seen presented to her are beyond belief, but she smiles and solves without fail and I admire her hugely. Dani Devine: (1080 Media and temporary Garmin resident) – Devine in name and person, Dani is with us as media person for Leg 3. As well as her talent behind the lens, she is quick and funny and always happy to lend a hand below deck, even though she isn't allowed to sail with us. She is gorgeous inside and out, but sadly immune to overt flattery and bribery (though hopefully she'll make my hair look pretty on camera now that I've said nice things). Women of the Clipper Race – I salute you, I adore you and I thank you for enriching this experience beyond my expectations. 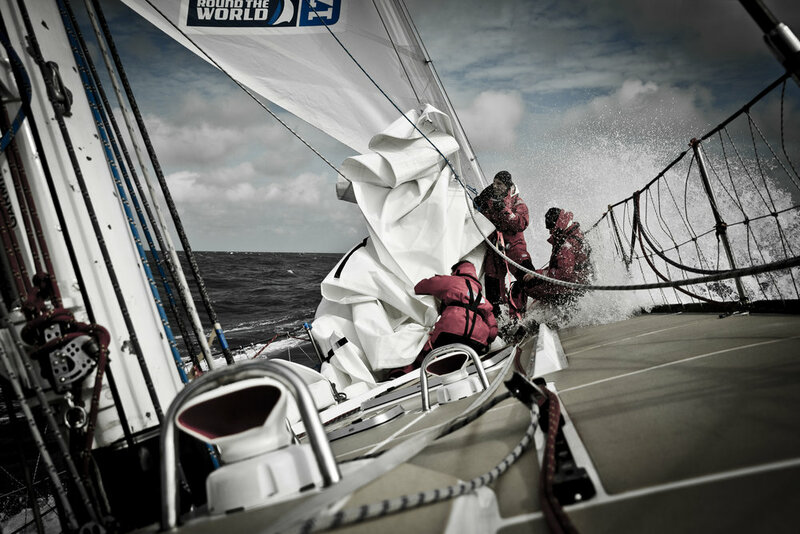 We are sailing hard and staying stormy.